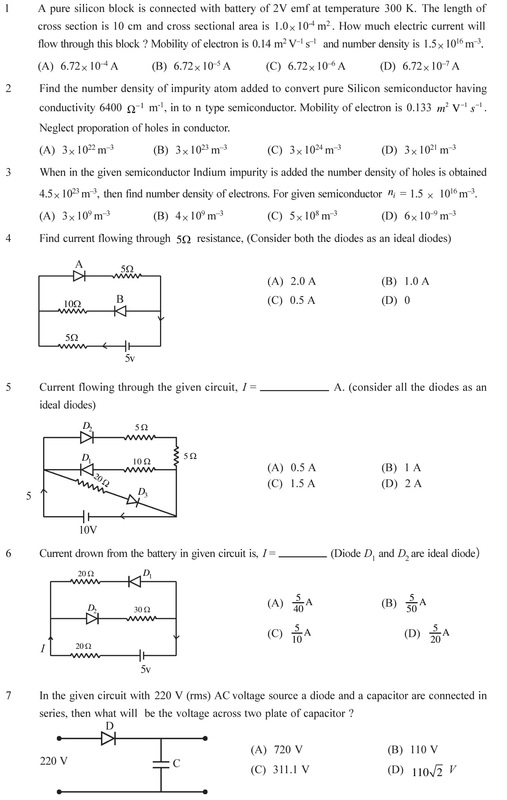 NCERT Solutions for Class 12 Physics Chapter 14 Semiconductor Electronics: Materials, Devices and Simple Circuits in PDF form to free download. 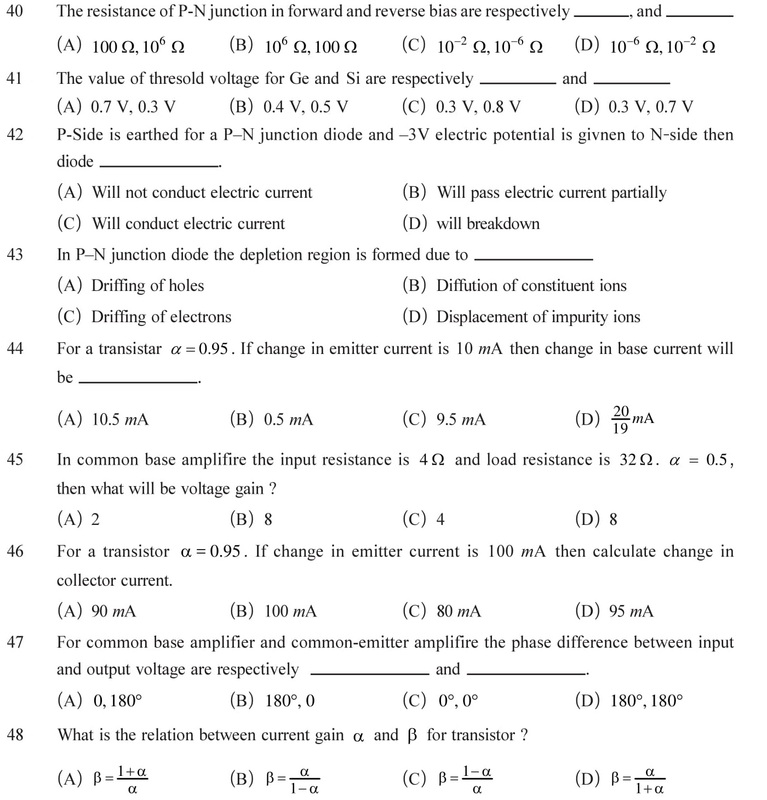 The downloadable solutions of other subjects are also available for class 12. 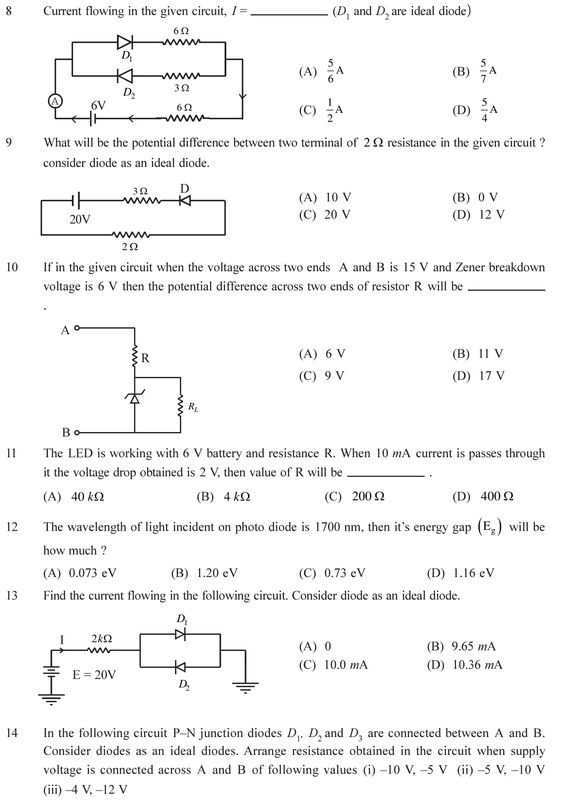 Extra questions based on Semiconductor devices are given below for practice. 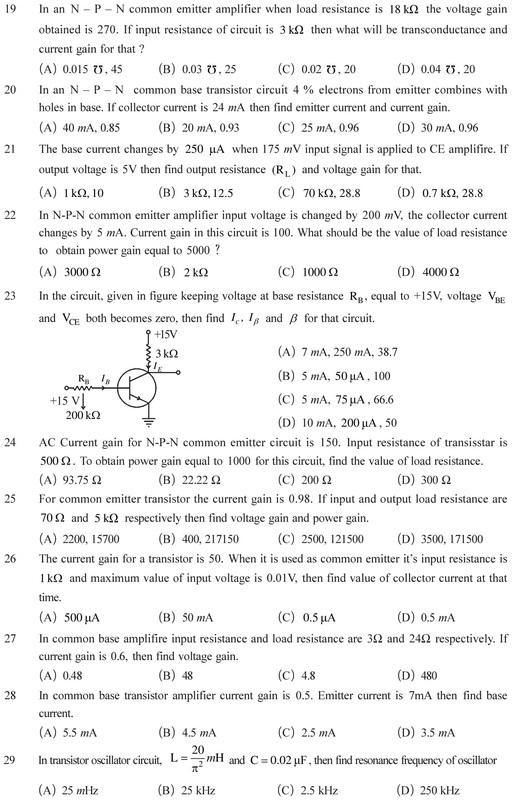 Download NCERT Solutions for Class 12 Physics Chapter 14 Semiconductor Electronics: Materials, Devices and Simple Circuits in PDF form with the links given below. 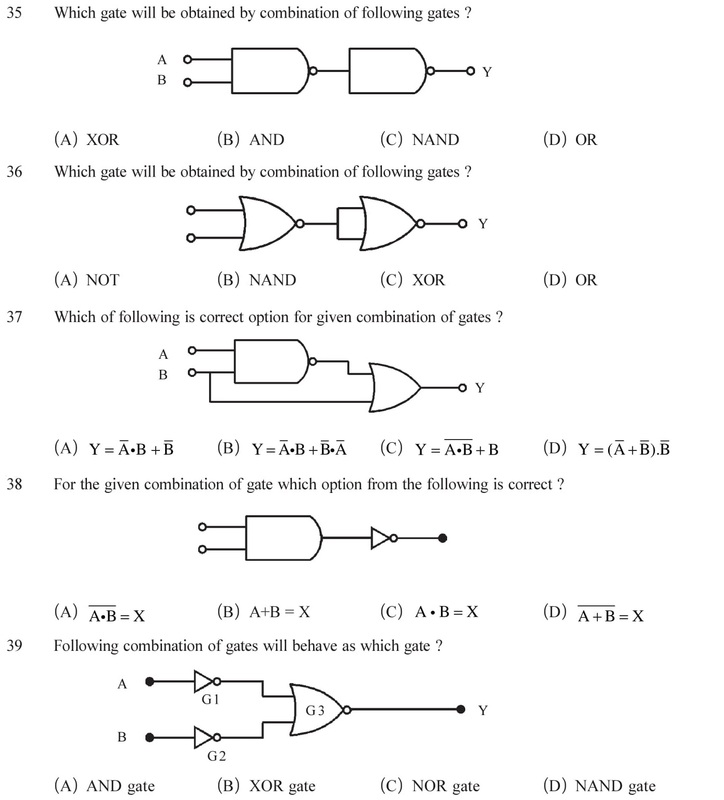 Some important questions for practice are given below based on the topic electronic devices, logic gates, diodes and their biasing. Questions are important one in order to prepare for CBSE exams or for the preparation of competitive exams. electron and take part in conduction process. So this upper band is called conduction band.). Explanation of conductor, insulator and semiconductor based on band theory, p – type and n – type semiconductors. p-n junction with forward and reverse biased. See Answers. Junction Transistor, Working of Transistor, Characteristic of Transistor Amplifier (common-emitter configuration) and Oscillator. Three different types of circuit in case of a transistor: (1) Common Base (CB) (2) Common Collector (CC) (3) Common Emitter (CE). Equations for Common Emitter Amplifire, Applications of Transistor (i) As a switch (ii) As an amplifier (iii) As an oscillator. See Answers. AND, OR, NOT, NOR, etc. gates and their circuits. 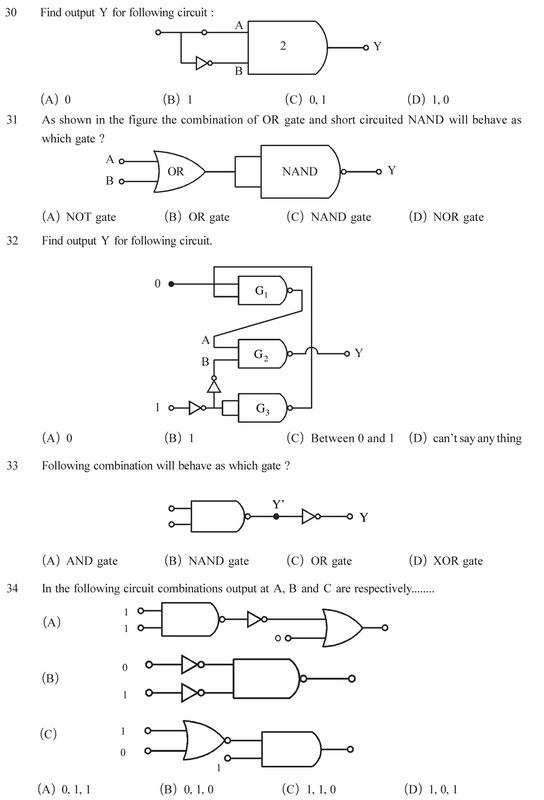 To calculate the output using two or more gates. See Answers. Drawing a forward bias characteristic of P-N Junction diode and to find static resistance and dynamic resistance. 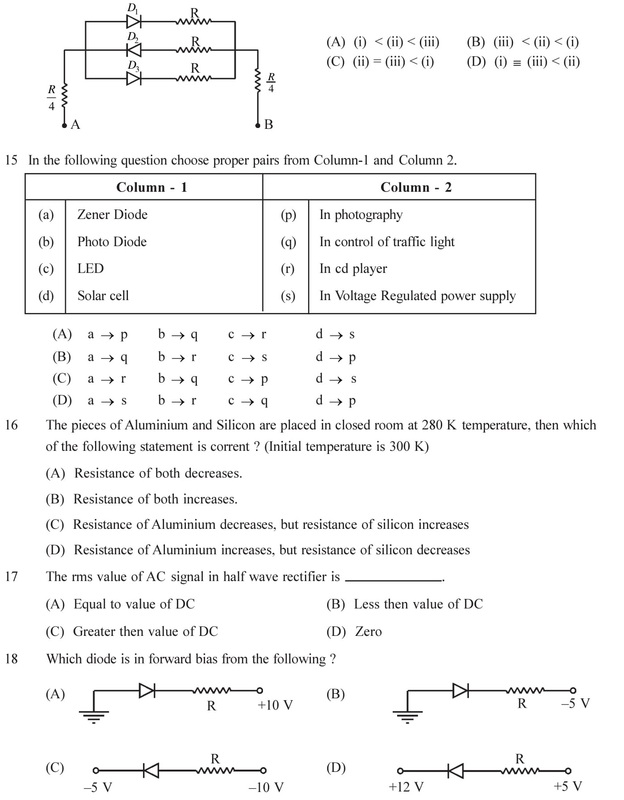 Drawing reverse characteristic curve of Zener diode and try to find breakdown voltage. Obtaining input and output characteristic curves of common emitter N-P-N transistor and final current gain. Differentiating diode, LED, Transistor, IC, resistance and capacitor from the given components of circuit. See Answers. 1 (D), 2 (B), 3 (C), 4 (C), 5 (C), 6 (B), 7 (C), 8 (C), 9 (B), 10 (C), 11 (D), 12 (C), 13 (C), 14 (C), 15 (D), 16 (C), 17 (B), 18 (B), 19 (A), 20 (C), 21 (D), 22 (B), 23 (C), 24 (B), 25 (D), 26 (A), 27 (C), 28 (D), 29 (B), 30 (A), 31 (D), 32 (A), 33 (A), 34 (C), 35 (B), 36 (D), 37 (C), 38 (A), 39 (D), 40 (A), 41 (D), 42 (C), 43 (B), 44 (B), 45 (C), 46 (D), 47 (A), 48 (B).